(Natural News) You have likely walked past it dozens of times during walks in wooded areas, without ever realizing that you were passing one of nature’s most miraculous healers. Usnea (pronounced yew-snee-a), or Old Man’s Beard, as it is known to many, is a type of lichen that can be found on trees that grow in high altitudes and in clean air. It hangs off tree limbs and looks similar to Spanish moss. This amazing algae/fungus combination has incredible anti-inflammatory, antifungal, antibacterial and antimicrobial properties. At a time when the world is facing an antibiotic “apocalypse” caused by the overuse and misuse of antibiotic medications, usnea offers real hope in the fight against drug-resistant gram-positive bacteria, especially Streptococci and Staphylococci. Bio Prepper reports that even those pharmaceutical antibiotics that do still work can cause multiple side effects, including nausea, rashes, “yeast” infections and even a potentially fatal condition called c. diff colitis. Herbal Remedies Advice notes that while there has been some evidence of a link between liver problems and the use of usnic acid, there is no such link between liver toxicity and use of the whole usnea plant. And as with many other chemical and natural remedies, pregnant women are advised not to use usnea as a treatment. Nonetheless, for the general population, usnea is both safe and effective. What is even more amazing is that usnea is also an antiviral. While antibiotics are used to destroy bacterial infections, viral infections cannot be treated with chemical medications because they live right inside their hosts’ cells. If the virus in a sick patient were to be targeted with medication, that person’s own cells would be damaged. 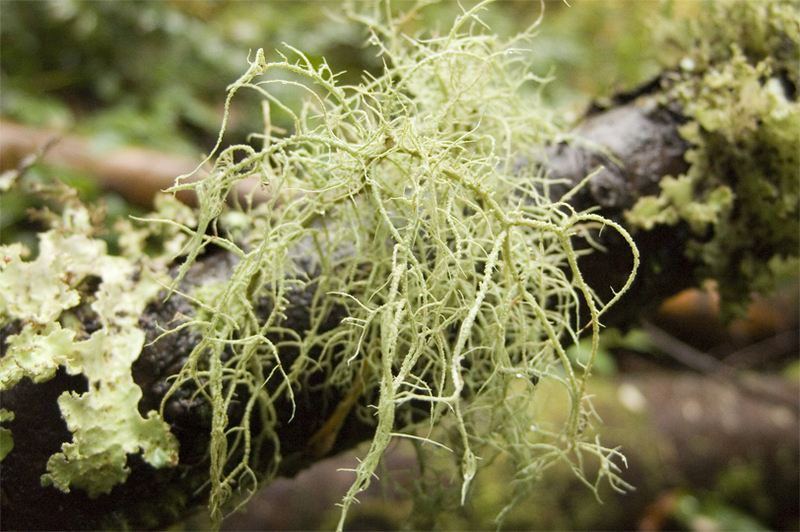 One of usnea’s greatest uses is as a powerful wound healer. In addition to preventing and treating infection, usnea can also speed up the healing process dramatically. Used as a wound dressing, usnea could be a wonderful remedy for infected wounds, such as cellulitis. The drying and cooling attributes of usnea help to reduce heat and redness stemming from the infection. Due to the natural anti-microbial properties found in the lichen, it is often applied directly to an open wound to fight off infection. It can either be mixed with water to form a mixture to be applied, or used as a powder after it’s been dried. Usnea is available or can be produced in several different forms, including as a tincture, cough lozenges, mouthwash and as a wound dressing.